Leaving behind a legacy of excellence in teaching, research and service to the Department of Electrical and Computer Engineering (ECE) at the University of California-Santa Barbara (UCSB), Louise Moser has retired after 25 years. She started her career by earning a PhD in mathematics from the University of Wisconsin-Madison in 1970, but she converted to computer networking in 1987. She began teaching programs, and joined the staff at the UCSB in 1989. Ms. Moser was proud to witness and partake in the quick growth of the computer major; it expanded from zero to 1,300 students in just two years. She now holds the distinguished title of professor emerita. 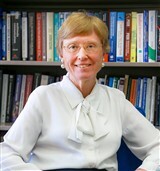 Some of Ms. Moser’s positions prior to joining the UCSB include professor of mathematics and computer science at California State University, and researcher at Stanford Research Institute. During her journey, she participated in a number of funded research projects as a principal investigator, pursuing advancements to areas of interest like distributed systems, computer networks, and software engineering. Notable sponsors include the National Science Foundation (NSF), the Defense Advanced Research Projects Agency (DARPA), Air Force Office of Scientific Research (AFOSR), and UC Micro and UC Discovery. Dr. Moser’s hard work and dedication have not gone unnoticed. From 2010 to 2013, she earned the Trustworthy Distribution and Retrieval Network Award from the National Science Foundation, and in 2007, she received first prize in IEEE’s services computing contest.